ALBUQUERQUE, N.M. -- A Holocaust survivor says she was a victim of a "very demeaning body search" by U.S. Transportation Security Administration agents after a visit in Albuquerque, New Mexico. 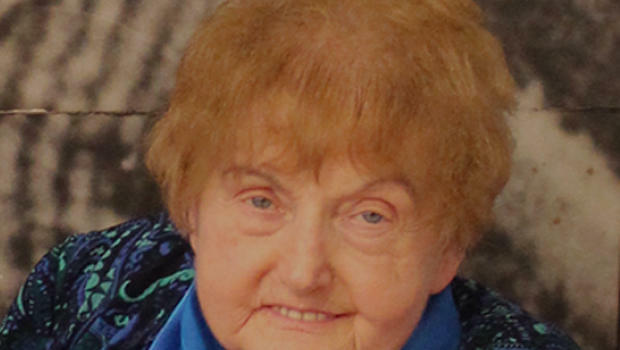 Eva Mozes Kor tweeted on Sunday in Albuquerque that she had to undergo the intrusive body search before boarding a plane and that it ruined her experience following a lecture. The Indiana resident spoke with teachers from around New Mexico at the National Museum of Nuclear Science and History on Saturday about suffering through inhumane scientific experiments at the Auschwitz concentration camp as a 10-year-old. It was unclear if the TSA search in question occurred at Albuquerque International Sunport. TSA Regional Public Affairs Manager Carrie Harmon did not immediately return an email from The Associated Press. Kor has been telling her own story as a Holocaust survivor for most of her life. But in a few weeks, a documentary film about her life will add another level of the public's understanding of the energetic Terre Haute woman who learned to forgive her Nazi tormentors as part of her own self-healing. "Eva" will premiere on April 5 in Indianapolis and on April 14 in Terre Haute. It's a documentary project produced by Ted Green Films, Mika Brown and Indianapolis PBS affiliate WFYI, and it captures the legacy of Kor as she has persisted in telling her story in her own effort to make the world a better place. Kor lost her parents and siblings to the Holocaust after her Jewish family was removed from their home in Romania and sent to the Auschwitz concentration camp. She and her twin sister, Miriam, both of whom survived Auschwitz, were experimented upon by Nazi doctor Josef Mengele, and they were orphans upon their liberation from the camp. Now 84, Kor remains active as she travels the world, sharing her personal epiphany that forgiveness is the ultimate healing agent for one's psychological and emotional wounds. "I discovered the cure from victimhood," Kor said as she talked about the upcoming release of the film and how her message of forgiveness has received both praise and criticism. "Should I keep that to myself?" Kor stands only 4 feet, 9 inches tall, and she uses a walker. But her personality still seems giant as she enters a room. "I'm level-headed but not afraid to take on a challenge," Kor said as she explained her quick mind and steadfast determination to help others. "I am never a worrier. I am a doer," she said. Her life has been full of challenges. More than 40 years after escaping the death camp with her sister, she cared for her son as he battled cancer, and she donated a kidney to her ailing sister. She persisted in getting her bachelor's degree from Indiana State University, and then her master's degree. She sold real estate to pay the bills. She has worked with Green and Brown on the documentary for several months, traveling to Auschwitz and Israel, telling some stories and events that weren't always popularly received. "He has discovered things about me that I had forgotten," Kor said of Green and his research. Green combed newspaper archives and interviewed hundreds of people for the project. "One of the obvious challenges for us is that Eva's story has been told before - she's been telling it for decades," Green said. "But I do believe that even people in the Terre Haute community will be surprised by much of what we've found. "Her story is nearly always told in two acts: Auschwitz and forgiveness. But there's a middle act - the 50 years in between those two. Eva doesn't talk about it much because it's painful for her. But she had the courage to open up to us, and I believe that's the most revealing part of the film. "It shows the full, nuanced journey to forgiveness, and puts into such great relief how far she's come." Kor's notoriety has grown even more since the documentary project began. Last fall, she was the subject of a BuzzFeed video - "I Survived The Holocaust Twin Experiments." It has had more than five million views on You Tube and received more than 20,000 comments. On Facebook, the video has more than 185 million views, by far BuzzFeed's most ever. The popularity of that video surprises Kor, but she feels it helps spread her message of forgiveness. As for the documentary, Kor is excited it will be shared in Terre Haute during the week of inaugural events for ISU's new president, Deborah Curtis. Tickets for the film event in Tilson Music Hall go on sale Thursday. The April 5 premier in Indianapolis is sold out. Without seeing any parts of the film yet, Kor said she has no idea what to expect. And she appreciates the long hours that Green and Brown put into the project. "The production of the film had a lot going into it," she said. "A lot of work, a lot of detail." How other people receive the film is important to her, and she hopes it can be used to spark dialogue and discussions about discrimination, conflict resolution and how forgiveness heals a person.